↑ Hurricane Andrew (Report). Tampa Bay Online. Retrieved May 12, 2012. ↑ Larry Rohter (5 September 1992). "AFTER THE STORM; Rumors Abound Of Storm Deaths Going Untallied". The New York Times. Retrieved 19 February 2016. ↑ Gary Nelson (24 August 2012). 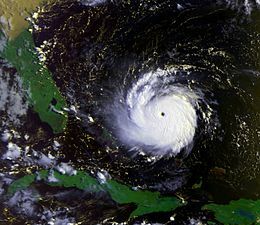 "Hurricane Andrew Remembered: 20 Years Later". CBS Local. Retrieved 19 February 2016. 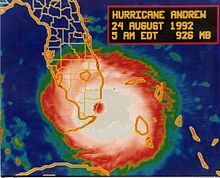 ↑ 7.0 7.1 "1992- Hurricane Andrew". University of Rhode Island. Retrieved 19 February 2016. This page was last changed on 11 September 2018, at 09:02.